Good value for price. Hot showers. Only drawback- some neighbor drunks woke me up a couple of times partying outside. Near where bus drops you off, everything in Puerto Ayora is walking distance. 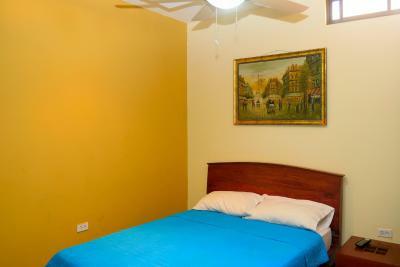 Rooms were large and clean, with nice private bathrooms. There was a large kitchen for use. Location was great. The hosts were very kind and helpful. There is a kitchen to cook in, which is helpful when traveling on a budget. The market is very nearby. The empanadas at the market are to die for. Everything was a short walking distance away. Stayed there for 7 days. Decent location even though it's a little away from the port. Good value, clean and decent hot water. Would recommend. Cynthia, who worked at the front desk was very friendly and helpful. She made us really feel at home and so comfortable staying at this hotel. If we needed anything, she was very hospitable and accommodating, as well as patient with my poor Spanish skills. Lenny was helpful with a printed map, directions and some highlights of "must see" places in Galapagos. I would definitely recommend this hotel to anyone looking for a clean, comfortable place to stay while visiting. Our room was big for the price and the kitchen was reasonably well equipped. Hot shower and could rent snorkel gear for $3. Wardrobe. The shower had good water flow and plenty of hot water. There was a shared kitchen. The free wifi had a strong signal in my room and was fast enough to be usable! Cheaper area of town. The room was spacious and the shower was hot and strong. Really nice for the price. One of our best sellers in Puerto Ayora! Located in the Galápagos National Park UNESCO World Heritage Site, this Puerto Ayora Carliza Suites offers free WiFi across the property. Museo JICA is 2,650 feet away. 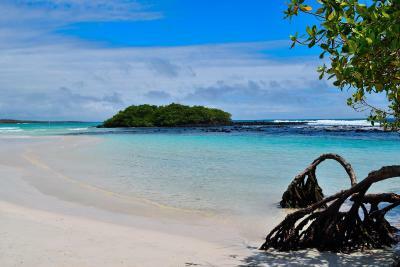 Guests will be within 10 minutes’ walk from the Puerto Ayora Pier and surrounding restaurants. The Charles Darwin Research Station is 0.9 mi away. 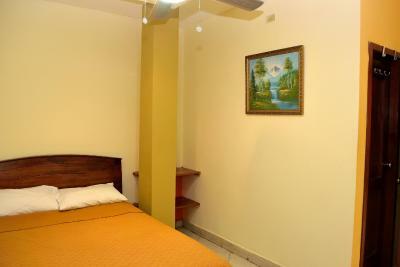 A fan and cable TV as well as an en suite with a shower, hot water, and free toiletries are provided with each room. Extras include towels and bed linen. A shared kitchen is available to all guests throughout their stay on every level of the hotel. Laundry facilities are on site, and an airport transfer service can be arranged for a fee. 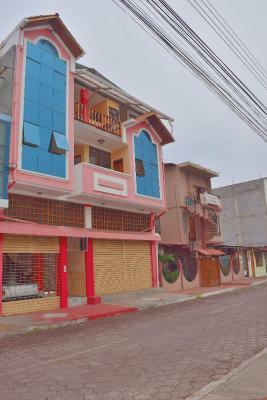 When would you like to stay at Hospedaje Carliza II Backpackers? 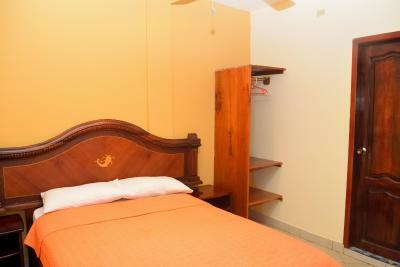 This twin/double room features a cable TV and an en suite with a shower, hot water, and free toiletries. A fan is also included. 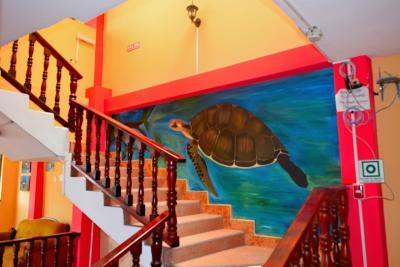 House Rules Hospedaje Carliza II Backpackers takes special requests – add in the next step! Please inform Hospedaje Carliza II Backpackers of your expected arrival time in advance. You can use the Special Requests box when booking, or contact the property directly using the contact details in your confirmation. There was no air conditioning. There was a fan which turned out to be ok for sleeping. There was no safe, and very basic lock on the door. I just kept my valuables with me. Very friendly helpful staff. Easy check in. Great price, probably due to location .. about a 10 min walk from the main tourist area, restaurants, tour agencies, shops, pier etc. 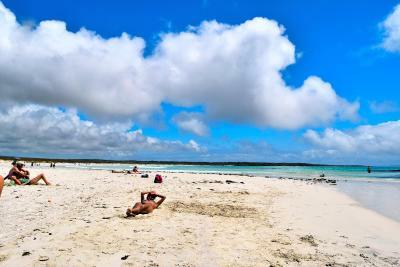 But very close to location where the bus drops you off when coming from Baltra Island (Airport). The room was very clean, quite big with a table, wardrobe and a night table, and I had my own bathroom. It was quiet at night. You can not pay with credit card. There is also a small offer off cutlery in the kitchen so if anyone else it eating or cooking you’ll might have to wait for your turn to use the kitchen utensils. The staff is really helpful and flexible. They offered both laundry service, snorkel rental and luggage storage while we went to another island (very kind). There is hot water in the shower and the wi-fi is pretty good compared to the island’s low standard. The noise the first night and the slamming of doors. The place is in a walking distance to everything. The place should be cheaper per night for what your getting. When I checked in to my room no toilet paper, small towel compared to the ones that I saw on the dryer 2days later in the kitchen. The first night I stayed there they had a party the host or owners could not sleep they where so loud yelling and partying. Idn if it was because they just got money or what that day. After that people there love to slam doors for some reason. The kitchen is ok has cooking things. Unfortunately you will sometimes have to clean after people dishes if you want to use that pot or pan that someone else didn’t clean after using. 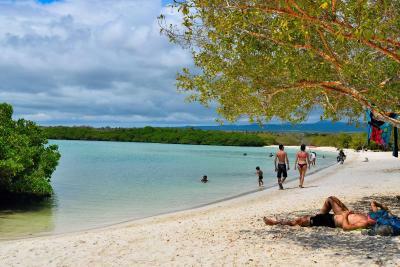 I recommend cooking there because everything is exspincive in Santa Cruz Island maybe all the islands of Galapagos. Just for three tours it cost $400 and that was the cheapest I could get they don’t like to bargain there at all. There is a vegetable and fruit place on the right make smoothies for $3.50 each as you walk down to the dock. 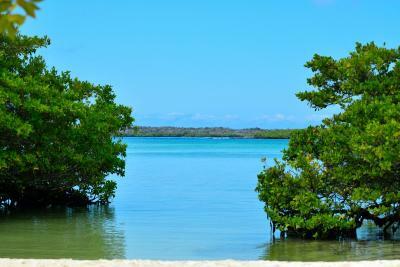 There are two activities on Santa Cruz to enjoy for free los graitos u take a ferry at dock 4 $1.60 round trip and Tortuga bay you walk to that one 2 miles. Getting to and from the airport costs $11 each way $5 for two buses and $1 for the ferry. Leaving the island you walk on the from the hotel out to the main road and turn right walk for 3/4 mile the bus will take you to the ferry to airport. Customer service does not exist here. It would have been nice if the last week checked me in es more friendly and came to the reception, instead of shouting from her bedroom window. My fan was so slow, it basically did nothing. My toilet also leaked onto my bathroom floor. She offered to change my room but I had already unpacked and I was tired so I just turned the water off behind the toilet. 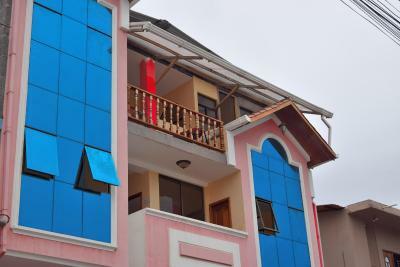 This is not the newest hostel but it is clean and has what you need. For the price you pay it is good. 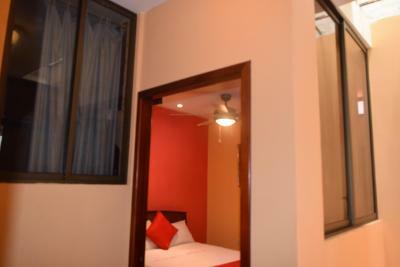 A double room with a TV and private bathroom. I think the average backpacker would be badly enough her if they don't have high expectations. When we checked in there were no pillowcases or towels. Took them 5 hours to get them. The room is nice, but very stuffy, warm and humid. The staff was not very helpful unless you could speak Spanish (which we do not). The family running the hostel had a huge fight one night for a couple of hours: yelling, slamming doors and waking everyone up. Very unprofessional. We did not feel comfortable at this hostel. We made a mistake with our booking (our fault), but they told us the night before we left (1 1/2 days later). If they had a better system they would have been able to see it when we came to pay for it... We asked for more toilet paper, it took them 1 hour because they wanted to eat their breakfast first. The weirdest stay we've had in a month of traveling. The room was smelling really nasty of mold. It was fine untill you shut the window after 2 minutes tou could smell the mold really bad. The Kitchen had only 2 pans and 1 cup so if you are two people you need to share. The room was only cleaned where the eyes could see. Under the bed was full of dust and stuff people before us had forgotten there. Yeah and the windows in the batroom and room are directed to the hallway in the hostel. Location. Middle of the city and in the afternoon they sell street food one block away for cheap 1-2$. Could have water available for travellers. The kitchen is not very well equipped and not super clean, so don't expect any big cooking, but it does the job. Good Value, very nice staff, close to good street food and the airport bus, would recommend for fellow budget travellers.